This was last meeting of the year, but the club will be carrying on as usual next year, and our first meeting of 2008 is 13 January. There were four games at the club today. Mark's Orcs played Rob's Orcs, the Orcs won... Rob's Orcs... many Orcs died. In DBMM 25s, Brett (Medieval German with Swiss allies) beat Andrew (Early Crusader with Bedouin and Syrian allies) scoring 17-8. 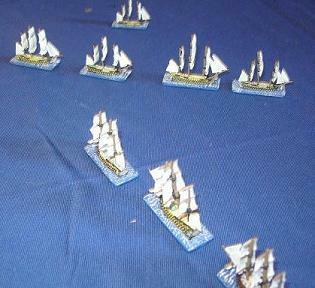 Philip and Kendall had a Napoleonic naval game, using Two Fat Lardies' Kiss Me Hardy rules. Kit (Punjabi Rifle Company) and Kendall (DAK) had a Flames of War game, using Kit's new desert terrain. Just three games at the club today. 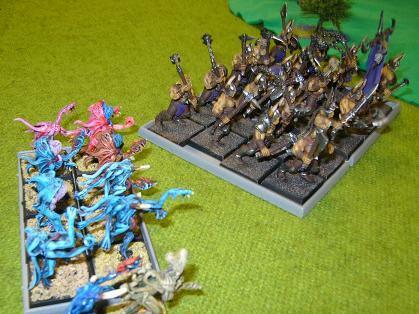 Nick and Rob had a Warhammer game, with Orcs and Goblins on both sides. 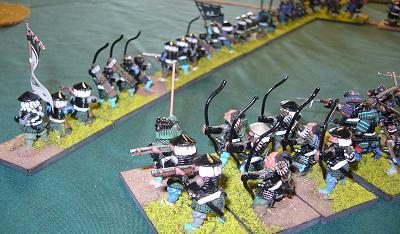 John and Craig played DBR 25mm, with Samurai taking on Monks. Al and Philip played DBMM 25mm. The Spartans won a 19-6 victory over the Egyptians. A game of Pirates' Cove finished off the day. Some pirates stole some treasure from other pirates, and everyone said aaarrgh. The final game of the Ancients Competition has been played. Philip's New Kingdom Egyptians and John's Teutonics fought to a mutual break with a score of 15-10 to the Egyptians. That final placings are Philip first with 73 points, Rob second on 67, and Lee third on 64 points. 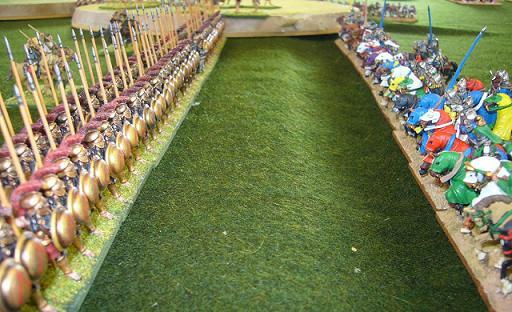 The warhammer Orcland Cup tournament was on today at the City Guard venue (the Freemans Bay hall). This year it was just a two-round competition. The NSWC team was Aaron (Empire), Brett (Orcs & Goblins), and Rob (Beastmen). Nick B Wood Elf vs Rob Beastmen. Win to Nick by heaps. Practice game for Nick before he goes to the Masters in Aussie next week. Sketchy details of today's club meeting. Kendal playing Clint, a new person at the club, in FOW. Lee versus something else wth pikes maybe??? Grant and Kendall had a game of Age of Eagles, the Napoleonic game based on the Fire and Fury system. Andrew and Philip had a 25mm DBR game (Manchu vs Early Tudors with Maximilian allies). The English and Maximilians blundered forward, got into all sorts of trouble surrounded by Manchu cavalry, and then fought their way out to get a 10-0 victory. We had a couple more 25mm DBMM games in the Ancients Competition. Paul (Lysimachid) scored 19-6 against Lee (Alexandrian Macedonians). Rob won a 23-2 victory against Al the Spartan. The Spartan perioikoi were making progress against the English allied contingent, but the main command of Spartan citizens was run down by Portuguese knights. 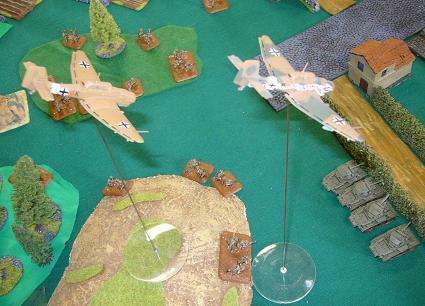 In anticipation of the Flames of War GT coming up next weekend, there were a couple of training games. Rob's British Airborne beat Tristan's Fallschirmjaeger, with the paras making a costly but successful assault on the German Stugs. Kit's Germans beat Kieran's Russians. Russian Sturmovik attacks caused quite some damage, but didn't stop the German advance. 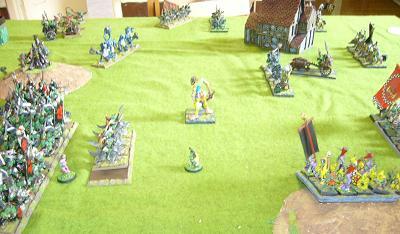 We had a couple of games in the October round of the DBMM Ancients Competition. Philip (Kushite Egyptians) beat Kendall (Hussites) 20-5, employing a successful double outflank and rather good shooting. John (Post-Mongol Japanese) won a great 25-0 victory against Andrew (Early Crusaders). The outflanking crusading pilgrims never showed up! Mark and Nick had a game of War of the Ring with a narrow victory to the Fellowship. 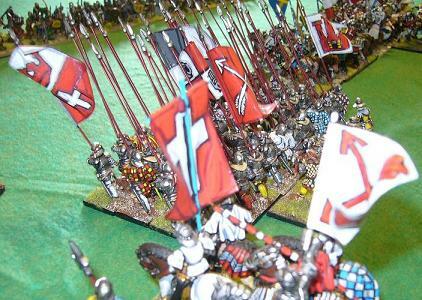 Brett and Paul played a 15mm DBMM game, testing a brilliant general against an inert one. Alexander's Macedonians triumphed over Charles' Burgundians. The Burgundian bows, crossbows and artillery were disadvantaged by the strong winds, but their knights managed to break some Thracian infantry who were caught in the open. Brendan and Danny played a game of Shattered Lances, using Rumi Seljuks against Murabits. Nick B and Paul played a game in the Ancients competition. Paul's Burgundian Ordonnance army with Charles the Bold won a 23-2 victory over Nick's Ottoman Turks. A Turkish flank march never showed up, and the frontal assault of their sipahis was shot down. Paul then played a second game in the afternoon against Brett's Timurids. This was an even more comprehensive victory for the Burgundians, 25-0. The Timurid elephants redeployed from one flank to the other to avoid the artillery, but in the meantime the rest of their army attempting flank attacks was defeated by longbows, crossbows and knights. Philip and Nick A played a 15mm DBR game, with the Knights of St John winning 9-1 against the Muslim Indians with Maratha allies. 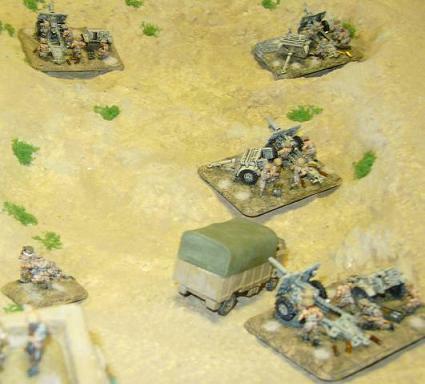 In a game of Flames of War, Rob's British airborne won 5-2 over Mark's Afrika Korps. 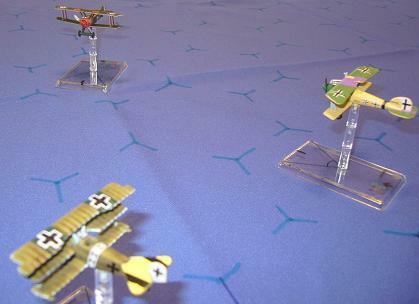 The FoW Grand Tournament is coming up (20 October), so it's time to get in those training games. Andrew, Kit, and Matt had a force of Daleks taking on UNIT. The initial Dalek attack was repulsed, but UNIT's counter-attack was wiped out. I think planet Earth was saved though. Another prize in the club's trophy cabinet. Nick has won the GW Warhammer Grand Tournament "Fields of Blood" using Wood Elves. 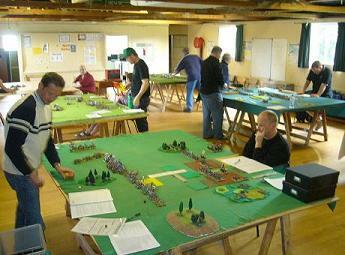 At the club today there were a couple of Warhammer GT training games. In the morning Rob's Empire army got a solid victory over Aaron's Undead. In the afternoon Rob had another game against Jeff's Chaos. In an Ancients Competition game, Philip (Kushite Egyptians) got a 15-10 win over Andrew (Early Crusaders). 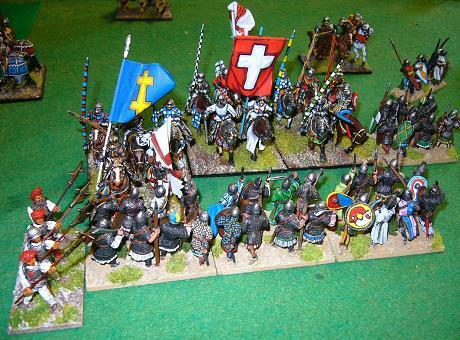 The Crusaders deployed an army mostly of infantry (supported spears and blades and some crossbows) with Bohemund leading a flank march of knights and peasant hordes. The Egyptian archers advanced with chariots behind them in support, and defeated the Crusader infantry for the loss of a small chariot command. Bohemund eventually arrived and helped to break another Egyptian command, but too late to save the Crusaders. Mark and Nick had another game of War of the Ring, and Kendall and Matt, later joined by Andrew and Philip, played a couple of games of Blue Max. Congratulations to Richard Foster for winning the Push of Pike tournament, using Ottoman Turks. 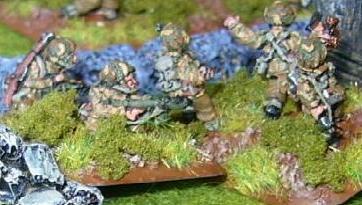 Congratulations also to Bryan Orsbourne for winning the painting prize, for the second year running, this time with an Alwa army. Thanks to Battleline Miniatures for providing the prizes. At the club today we played the rest of the first round games of the Ancients Competition, and a practice game for Push of Pike. DBMM 15mm - John beat Lee 13-12 in a Wars of the Roses game, using Richard III and Henry Tudor respectively. DBMM 25mm - Andrew (Three Kingdoms Chinese) won 18-7 over Paul (Lysimachid). The picture here shows the Chinese redeploying behind their fortifications as the Lysimachids move around their flank. The Chinese have a delayed command and two flank marches on the way! Mark and Nick played the War of the Ring boardgame. It was an all-DBMM meeting today, with the first competition games and a few practice games. Rob (Portuguese) won a pretty decisive victory over John's Post-Mongol Samurai. The Japanese resisted the intial charge of the knights, but repeated attacks broke them. Al (Spartans) won 15-10 over Nick A (Hungarians) in a competition game. The Spartans defended a position between difficult terrain on both flanks. The Hungarians had a flank-marching command of crusading peasants who came to grief against the psiloi and Thracian auxilia defending an orchard. Nick B (Ottoman Turks) and Philip (New Kingdom Egyptians) had a couple of games in 15mm scale. The first was a competition game, 23-2 to the Egyptians. The result was reversed in the second game. Urban Warfare have moved to their new premises at Unit 17, 46 Ellice Road, Glenfield, North Shore. Their new phone number is 441 4054, and they are now open only on Saturdays. Battleline Miniatures have taken over the old Wildly Inspired business, and have made new moulds from the original masters for nearly everything they produce. They now sell the ranges of 15mm Tabletop Miniatures (infantry 70c and cavalry $1.50) and 25mm Hotspur medievals ($2 a figure) and several other ranges. The 25mm Bar Room set should look good on your baggage elements! The draw for the first round of the Ancient Competition was made today, and the competition games can now begin. WHFB - Rob (Empire) beat Dan (Skaven). DBMM 15mm - Lee (Wars of the Roses English Tudor led by Henry VII) played Philip (New Kingdom Egyptian led by Tuthmosis III). The Egyptian infantry assaulted a hill held by mercenary crossbowmen and handgunners. Both infantry forces suffered heavy casualties, and both were demoralised by the end of the battle. The Egyptian chariots attacked the English bills and bows, and made some headway before falling to the English knights. A 17-8 victory to the English. DBMM 15mm - Andrew's Palmyrans defeated Kendall's Normans. The Palmyrans took up position on a line on low hills, and their cataphracts and light horse defeated the Norman knights. DBR 15mm - Nick (Maratha) won a 10-0 victory over Ian (Dutch rebellion). The Dutch pressed an attack against the centre of the Indian army, even killing the Indian C-in-C, but their flanks were destroyed by much greater numbers of Maratha sipahis. WHFB - Rob (Empire) won a solid victory over James (Wood Elves). WHFB - Richard (Bretonian Errantry army) defeated Nick (Empire). WHFB - Mark's Dwarves played against Aaron's Vampire Counts. DBMM 25mm - Al (Spartan) won 21-4 vs Philip (Kushite Egyptian). Like their previous battle, the Spartans struggled against the Egyptian chariots, but easily defeated the Egyptian infantry. Brasidas led from the front and did well in combat, and never needed to employ a 'brilliant stroke'. 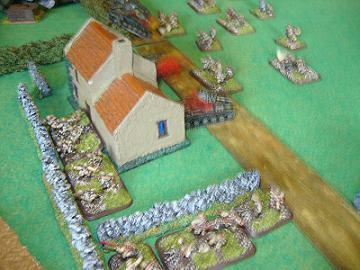 DBR 25mm - Scott (Later Polish) won a comprehensive victory against John (Japanese) in the game pictured here. The Japanese used an alternative army list which produced an army substantially larger than the Poles, but the numbers didn't help them in the end. 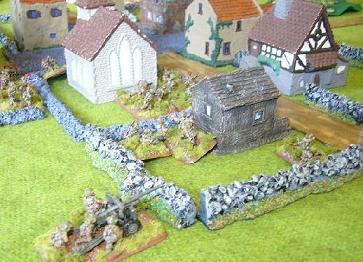 Flames of War - Rob's British paras beat Kit's Germans 5-2 in a late war game. Two Tigers successfully assaulted a battery of 25 pounders, but elsewhere the German defenders were overwhelmed by the British attacks. Welcome to several new members, Jeff, James and Richard, who came along to the club meeting today. Urban Warfare are moving their shop to Glenfield on the North Shore and have a relocation sale starting this Saturday the 7th until Sunday 22nd July.